Chiara Alberetti Milott is a prop stylist. 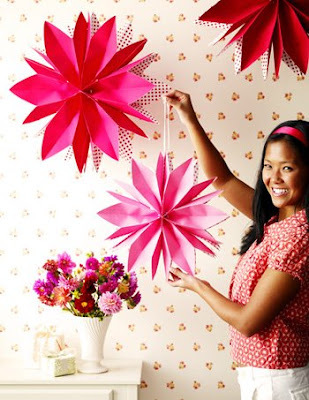 I recognize a lot of her work from the Martha Stewart craft line. Adorable. I want to throw a party! Adorable. I made some of these for my in-laws 25th wedding anniversary picnic! Thanks for sharing!